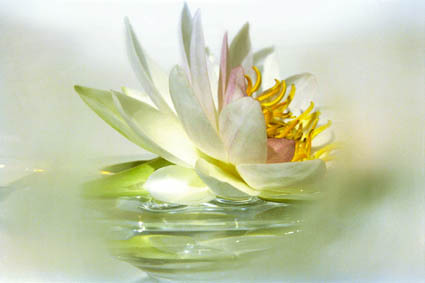 These healing cards were created by Dr. Christiane Northrup to help women reach clarity, fulfillment, and success in each of five major life areas: Fertility and Creativity, Partnership, Self-Expression, Self-Care and Nurturance, and the development of an Enlightened Mind and Heart. Includes instruction booklet. 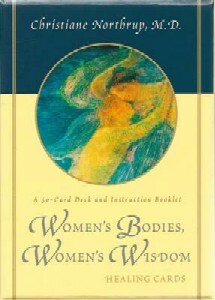 The Women’s Bodies, Women’s Wisdom Oracle Cards were created by Christiane Northrup, M.D., to help women reach clarity, fulfillment, and success in each of five major life areas: Fertility and Creativity, Partnership, Self-Expression, Self-Care and Nurturance, and the development of an Enlightened Mind and Heart. 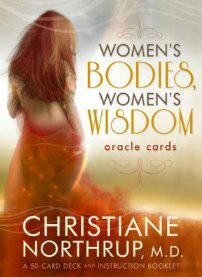 This beautiful deck includes 50 oracle cards, each with a unique illustration on one side and a detailed explanation of its meaning on the other, and an instruction booklet that offers practical ways to access intuitive, grounded information on a number of issues. In this new edition, artwork from artist Jena DellaGrottaglia lends new energy, and an aesthetic at once fresh and timeless, to this classic set of archetypes and life themes.